I had a birthday last week and was showered with food and love all week long. The man cooked me a birthday dinner, which was unbelievably good. 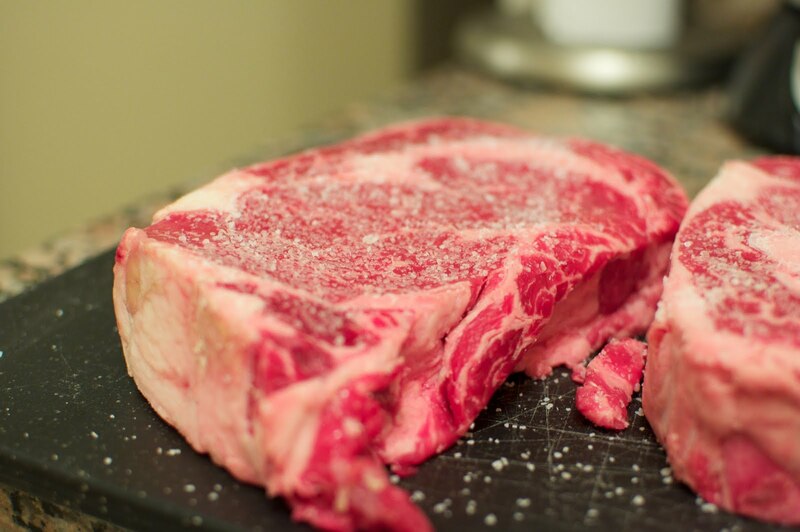 My blog may be called 'Fish and Veggies' but I love-me-some-steak. It was the most delicious I've ever had. A juicy ribeye, dusted in salt and grilled to perfection. Then he made me a cake with three layers. 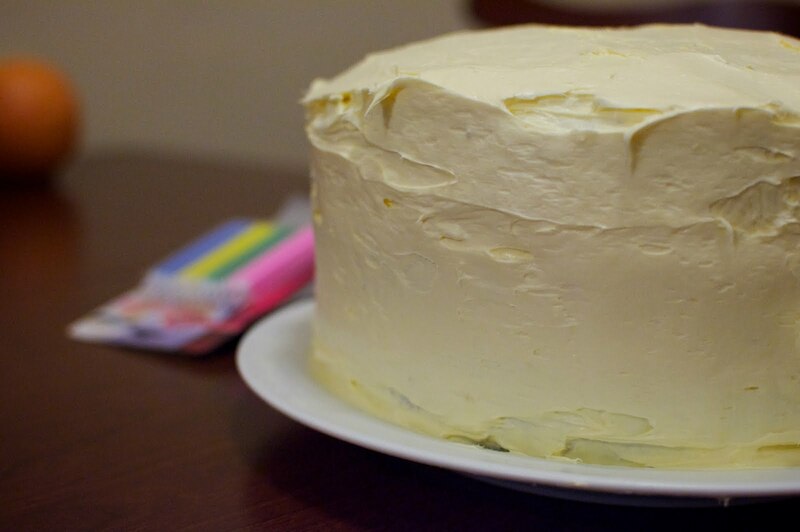 Cake icing, cake icing, cake icing! Truth be told, I took my final bite with no hands. Just plunged the face into the goodness. 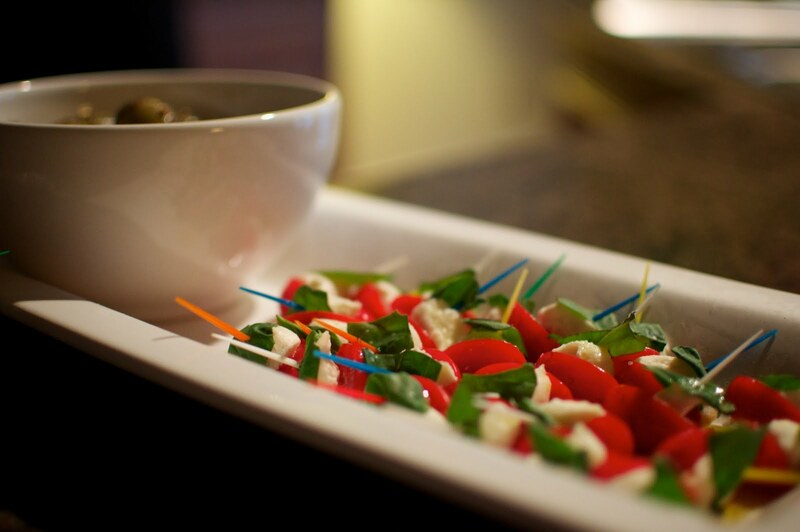 A few friends stopped by to say 'Happy Birthday' and we enjoyed these mini-caprese-salad-toothpicks. Pear tomatoes, mozzarella cheese and tiny piece of basil. Drizzled with olive oil, balsamic vinegar and salt. They were gobbled up faster than I could drink my birthday sangria. Life is good. Here's to another year!